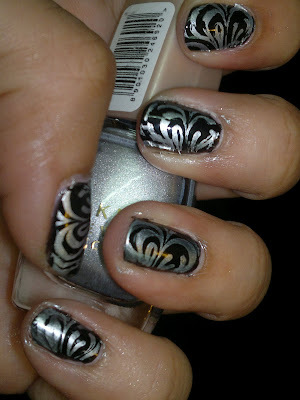 It's time for the Nails of the Week. This week I have a design from tried Konad Image plate 63 on my nails using a Lakme Metallics 039 over Revlon black beauty nail paint. 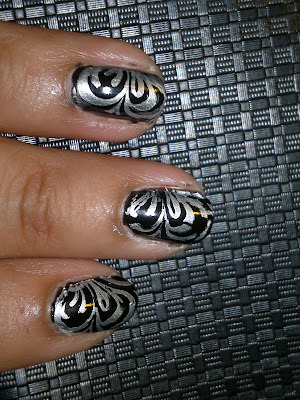 I am loving the black and silver combo, and nail art has become easy and doable since I have deiscovered Konad image plates. 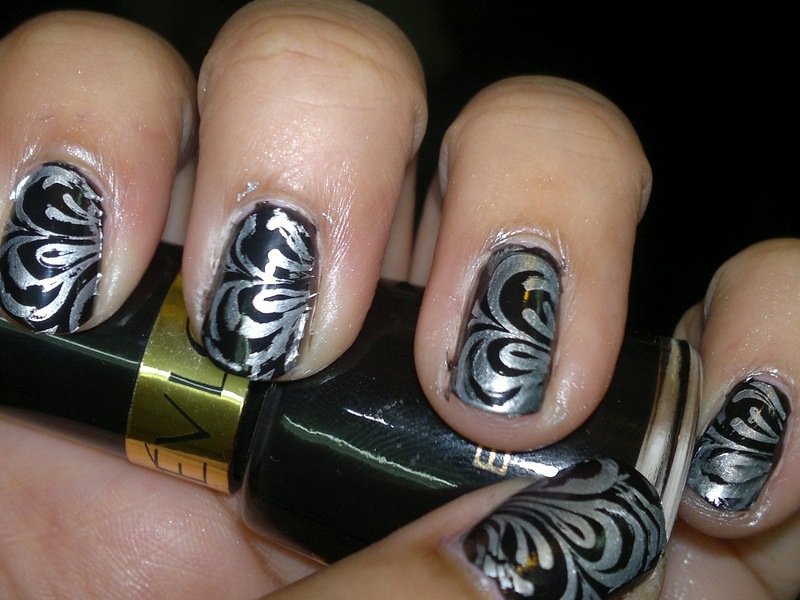 What do you girls think of the nail art, do drop in your comments below. 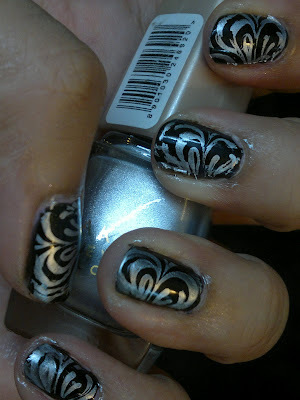 your hands look very pretty in this nail art and the color combination is also very beautiful..
Nice blog you have got here sweets.